You don’t have to be the ‘bleeding-heart type’ to want to weep at the stories of abuse and misery which tail the donkey rescues to be found finding refuge at the Karoo Donkey Sanctuary in Prince Albert. While some of the stories may be hard to bear, the Karoo Donkey Sanctuary stands as a beacon to healing and rectifying the abuse shown to the humble donkey and will fill your heart with hope at the efforts being brought to their upliftment. For modern travelers in our motorised vehicles it can still come as a surprise to see a donkey cart trapping along the side of the black asphalt roads which stretch from Cape Town into the dusty expanses that make up the Klein and Groot Karoo. Alive and not so kicking, the current global donkey population is estimated at 44 million with an estimated 10 million donkeys being slaughtered per year to supply the Chinese demand for their skins. According to the Karoo Donkey Sanctuary, this demand has created a 'global donkey holocaust as the insatiable trade demand for skins is driving a grizzly industry on South Africa’s doorstep'. Locally, many carthorse donkeys are still being used to provide transport for rural farming communities and metal traders. With its roots in Cape Town’s District Six area, the carting industry developed with the earliest Cape settlers and saw its peak when donkeys were used to hawk wares such as fresh produce and goods to communities living on the slopes in and around the harbor port of Cape Town. With the forced removals of 1968, both the communities and the livelihood and treatment of horses and donkeys took a turn for the worse. Carts, which were no longer able to trade to local communities, began collecting scrap metal to sell for money in industrial areas. Carts were rented out to operators with limited knowledge of how to properly care for the animals often leading to horses and donkeys being overloaded, and whipped, with their injuries going untreated, so much so that lame and malnourished animals became a common sighting. The Cart House Protection Association was formed in 1995 to provide vital service and education to cart horse owners on the Cape Flats to attempt to address the horrifying conditions in which the animals lived and worked. Today it shares training support and information with the only two donkey sanctuaries in the Western Cape, that of the Karoo Donkey Sanctuary and the Eseltjiesrus Donkey Sanctuary in MacGregor. There are no horse sanctuaries available for rescue horses in the Western Cape, with just one rehabilitation centre in Gordons Bay. Today, the Karoo Donkey Sanctuary is recognised as the largest donkey rescue sanctuary in Africa following the historic rescue of 236 donkeys and 30 horses, all destined for slaughter at the infamous Hartswater auction that took place in January 2017. The News24 article at the time, titled A Gruesome Find highlights how donkeys may be under threat in South Africa and is a hard-hitting look at the havoc demand from China is creating. You will find the Karoo Donkey Sanctuary, a registered Animal Welfare NPO, located on a private farm, two kilometers outside the picturesque village of Prince Albert, at the base of the majestic Swartberg Mountains and at the gateway to the Great Karoo region of South Africa. Here, you will find happy donkeys, hard-working people and a story of hope of what is possible in making every donkey's life count. Humans are very good at anthropomorphizing, that is giving human characteristics to animals, since most of us grew up listening to stories involving loveable donkeys such as heroic 'Donkey' played by Eddie Murphy in Shrek, gloomy 'Eeyore' in Winnie the Pooh, or slow but faithful 'Rocinante' in Don Quixote. Today, the Karoo donkeys could use more of these personal connections to help us connect to the fact that donkeys are worthy of moral care and consideration and right now they are in great need. The Karoo Donkey Sanctuary works to rehabilitate and rehome the majority of their rescues to loving, forever retirement homes while they champion the cause in raising awareness as to the unsustainable, inhumane and barbaric trade in donkey skins. Visit the Karoo Donkey Sanctuary and its over 200 donkeys, amongst other animals, and you are guaranteed of meeting a character from your favourite fairy tale with the difference being you can write the end of the story for any one or perhaps many of these donkeys lost and found. Amazing Grace came to the Sanctuary after being rescued from a small parched lot where she was fed potatoes skin off-cuts from a local restaurant. It was here that she met her best friend and soul mate, Cheyenne, a 25-year-old Welsh pony, rescued after being abandoned with no food or water on a farm in the outskirts of Johannesburg. Mona, also confiscated in the Cape Flats by a law-enforcement officer from the Cart Horse Protection Association (CHPA), was spotted being severely whipped by her driver. She arrived at the Sanctuary overworked, under-weight and with terrible sores on her feet; she was also pregnant. After a lengthy legal battle with her cruel owner, CHPA was granted custody of Mona and she was adopted into the sanctuary where she gave birth to her foal Silver Shadow. Ben is still shell shocked and like many of the other rescues still has to learn to trust humans again. While the Sanctuary battles to feed its burgeoning numbers and continues to fight abuse, it also runs a re-homing effort seeking foster homes for donkeys through its Foster Care initiative in the Western Cape. The next time you visit the Karoo, book a weekend stay at the 4-star De Bergkant Lodge and pop into the Karoo Donkey Sanctuary. You will learn a new perspective about these intelligent creatures and help the world become a kinder place and maybe even pick up a wonderful companion to take home with you. Tours are at 11.00 am on Monday through to Saturday and last about an hour and are worth every cent of the ZAR 100 donation required to meet and share some love with this amazing donkey rescue project. Any further donation is valued and appreciated and will go towards feeding, caring, grooming and veterinary bills for these soft and intelligent creatures. For more information about how you can help rescue efforts visit http://carthorse.org.za/. To visit or donate to the Karoo Donkey Sanctuary visit http://karoodonkeysanctuary.org.za/. 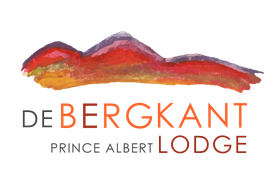 To stay and rest in #TrueKarooHospitality, book your stay at 4-star De Bergkant Lodge on www.debergkant.com. The Karoo Karretjiemense are people of nomadic tendencies who still own donkeys that pull carts packed with their possessions as they move about much like their ancestors, the Khoekhoen and the San. A mule is a cross between a donkey and a horse. Donkeys are both strong and intelligent and have an incredible memory - they can recognise areas and other donkeys they were with up to 25 years ago. A donkey will not do something it considers to be unsafe. Sadly, the idiom in speech of the carrot-and-stick approach – where a mule is made to move towards a carrot dangling in front of it while also moving away from the stick behind it, has probably added to the mistaken concept that donkeys are stubborn and need to be beaten in order to do something.